At Northstar Psychology, my mission is to help you find meaning, value, and hope in living. I promote change, teaching you to overcome blocks (e.g. depression and anxiety) and express yourself in ways both practical and creative. I really listen. I like to throw in personal reflection, a little experimentation, and some laughs along the way. You will feel heard & understood and walk away with new skills and tips that change your life forever. My approach can help you: (1) develop self-esteem; (2) know how you feel and what you want; (3) replace negative thought patterns with more positive thoughts; (4) relieve depression and anxiety; (5) experience greater expression of thoughts and feelings; (6) maintain more intimate relationships; and, (7) develop compassion for self and others. 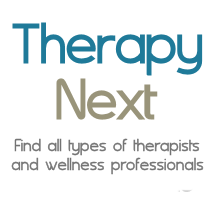 My approach is ideal for treating depression, anxiety, trauma, stress, PTSD, and OCD. However, it is beneficial in helping patients deal with most psychological issues. Dr. Staat has more than 20 years experience as a licensed clinical psychologist specializing in depth psychotherapy. She has been classicly trained but has incorporated into her work alternative methods which value the body as a source of psychological information. Before forming Northstar Psychology, she worked in a variety of mental health settings, including: university mental health, community mental health, the military, the Department of Veteran's Affairs, private practice, the public schools, a children's hospital, and child guidance. Dr. Staat has been a staff psychologist at: Baylor College of Medicine, Deer Park school district, Neuse Mental Health Center, Community Wellness Center, the Children's Developmental Services Agency, Womack Army Hospital, Texas Children's Hospital, and Houston Child Guidance Center. Dr. Staat opened Northstar Psychology so that she could offer more individualized attention than is available in these larger settings. In her private time, Dr. Staat enjoys water sports at Wrightsville Beach. She and her husband are avid sailors, surfers, and beachcombers. Dr. Staat also enjoys dancing, herb gardening, and writing. She has written books in a variety of genres, including: children's books and adult fiction. Dr. Staat received a B.A. in psychology and English literature from the University of Virginia. She received a Ph.D. in general clinical psychology from the University of Tennessee, a doctoral program accredited by the American Psychological Association. She completed an internship and postdoctoral fellowship at Baylor College of Medicine in Houston, TX, where she received specialty training in Child and Family Therapy. And, she attended the Houston-Galveston Psychoanalytic Institute, where she received specialty training in Psychodynamic Psychotherapy. She is a certified EMDR practitioner. Dr. Staat has been a member of the American Psychological Association, the North Carolina Psychological Association, the NCPA Division of Independent Professional Practice, the EMDR International Association, and the Association for Comprehensive Energy Psychology. She has been elected into the North Carolina Psychoanalytic Society. Hours:9:00 a.m. until 5:00 p.m.
Cost/Session:I accept most insurance except Medicare and Medicaid. I went to see Dr. Staat because I felt frustrated and stuck in a life without passion. Within only a few sessions, I have the beginnings of a new life vision and a brand new path. Thanks, Dr. Staat, for distilling my words and ideas so that I could hone in on my true desires. I have never felt more free, relaxed, or confident since working with Dr. Staat. After only 4 sessions, I feel like we have sorted through the core of my problems. I thought it was because I was a genius. But, begrudgingly, I have to admit to myself that it's not just me--Dr. Staat is fantastic at what she does. She is warm, insightful, and fun to be around. Best of all, she challenges me when it is needed and is always supportive. Her words of wisdom give me just the right push at the right moment. She has helped me radically re-invent several aspects of myself. I can't recommend her enough. I don't have any other psychologists to compare with her, but Dr. Staat passes every possible test. She is not only an extraordinary therapist but an incredibly good human being. Count yourself lucky if you get a chance to work with her. Dr. Staat has a fresh and unique perspective based on her experience as a psychologist and creative writer. She will help you articulate your story; she will share your suffering; and, she will help you transform your life. I think of her as compassionate, articulate, and wise.